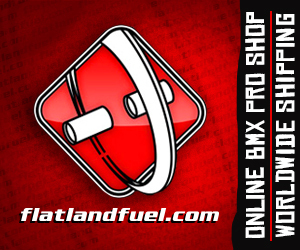 CFO Flatland's Unlimited 19 from Level Up on Vimeo. Want to watch the full pro runs from CFO Flatland’s Unlimited 2019 contest this past weekend in Toronto, Canada? Joey Kyllo took the time to document the whole contest, I logged down the top 3 riders, Jean William Prevost, Percy Marshall and Bo Wade so you can skip through if you wish. If not it’s definitely time to grab a cuppa and watch the contest unfold. Thanks Joey for taking the time to do this. Vancouver Flat Jam – Sessions from Level Up on Vimeo. This week has already been awesome for content here on Flatmattersonline, and it continues right here with a beauty from the summer Vancouver flatland jam. A couple of riders travelled from FISE in Edmonton over to Vancouver for the flat jam and enjoyed some wicked sessions the day before the jam. The first day the crew rode the circle spot which is small but overlooks downtown Vancouver. On the second day everyone travelled by ferry to Victoria, on Vancouver Island, and rode a couple cool spots including one on top of a mountain and in a forest. Lot of flatland history from Vancouver, Canada. Stoked to see this today! Riders: Jean-William Prevost, Hidenoi Ishizaki, Percy Marshall, Tall Pall, Greg Pratt, Francois Debroux, Cory Fester, and Joey Kyllo. Filming credits: Francois Debroux, Percy Marshall and Joey Kyllo. Last year the crowd was went off at Fise Edmonton, this week the event returns. It seems as good a time as any to re up some highlights from the finals featuring Alex Jumelin, Matthias Dandois, Percy marshall, Adam Kun, Joris Bretagnolles, Jean William Prevost, feel the energy! Hit play for a sweet Official highlights edit from the Fise World contest in Edmonton, Canada featuring Alex Jumelin, Matthias Dandois, Percy Marshall, Adam Kun, Joris Bretagnolles, Jean William Prevost, and Benjamin Hudson. Billy Gordon just dropped this sweet edit from the annual Vancouver flatland jam out on the West Coast of Canada featuring the likes of Travis Collier, Percy Marshall, Taku Kasahara, Benjamin Hudson and many more! Quest BMX Video Contest – Top 5 Fans Vote announced! “It is with great excitement that we announce the FINAL top five finalists for the Quest BMX video contest! Oh Canada from Erik Otto on Vimeo. Canada has a deep history of producing killer flatlanders! When the AM Flat Tuner Evolution contest came to town this summer it was a perfect opportunity for Erik to showcase their talent with his Nikon D5200. This video highlights the amazing riding from our brothers up north in the Quebec, Toronto and Montreal region. Jean-William Prevost (DUB), Jason Plourde, Jean-Francois Boulianne (JFB), Prasheel Gopal and Percy Marshall killing it. Part 2 of Toronto Flatstyles features leftovers, bails and more good times jamming downtown with Percy, Paula and Lachlan! Enjoy! Guru Jam Pro Highlights – 4th to 13th! Joe Cicman just uploaded the Guru Jam Pro highlights from 4th down to 13th, check out the runs right here!